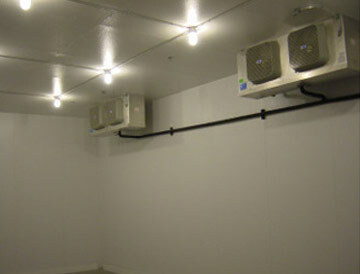 We Design, Sell and Install All Sizes and Types of Coolers, Freezers and Refrigerated Cold Storage Equipment. 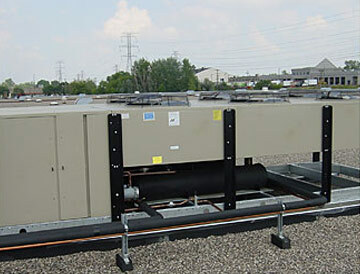 From a 5'x6' walk-in cooler to a sixty thousand square foot refrigerated distribution facility, Ideal Refrigeration is a qualified mechanical contractor that can specify and build the insulated structure along with the complete mechanical refrigeration system. 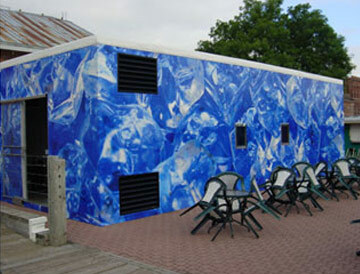 We can provide design services for freezer floors, door systems, outdoor structures and all types of mechanical systems, by using one contractor you are assured of a seamless design with quality components that will perform exceptionally well. 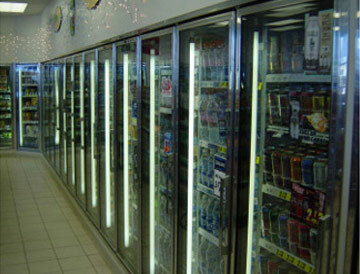 Ideal Refrigeration is based in Minneapolis Minnesota and has successfully contracted installations in all the surrounding citys and many states, Ideal Refrigeration is nationally known for it's quality installations by offering very competitive pricing and the expertise and equipment to meet your needs. Latest News: SCROLL DOWN AND SEE WHAT WE HAVE BEEN UP TO! Remodel freezer and add 30ft addition for American Logistic Services in Garland Texas. Install new mechanical refrigeration system for Eniva Co. Plymouth MN. Distribute 34 reach in cases for Long Island Cares Hauppauge, NY. 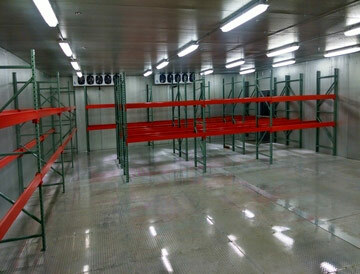 Install new 8'x14' freezer and 30'x39' cooler for Second Harvest Heartland Golden Valley, MN. 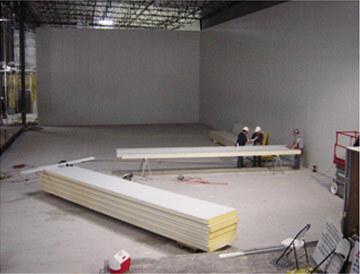 Build 20'x 40' freezer with engineered floor system for Greater Midwest Fundraising Apple Valley, MN. 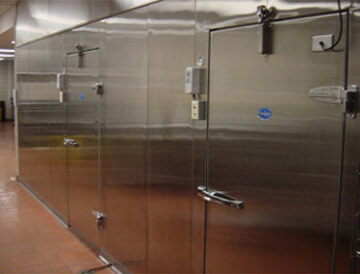 Replace high traffic cooler door for Supermoms Bakery St. Paul Park MN. Install new 8'x 21' outdoor freezer for Chaska School District Chaska MN. 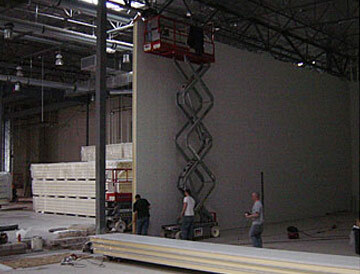 Design and build 1000 sq.ft. freezer with raised floor for The Dough Shop Burnsville MN. Relocate Complete Beverage Service cooler and reset with addition to double the capacity. 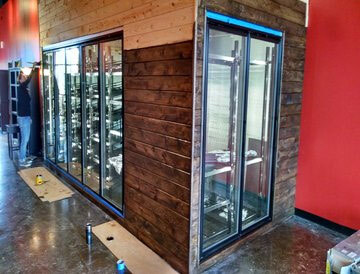 Move Woodland Pizza to new location and and install combination cooler / freezer as seperate compartments. Design and install all stainless steel clean room cooler for LifeCore Biomedical Chaska, MN. 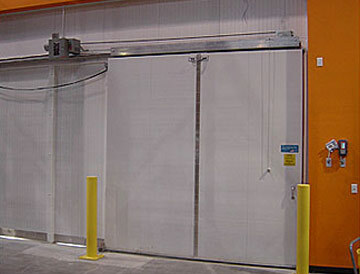 Install 40'x 40'x 21' cooler addition with new access doors for Summit Brewing Co. St. Paul, MN for increased production storage. 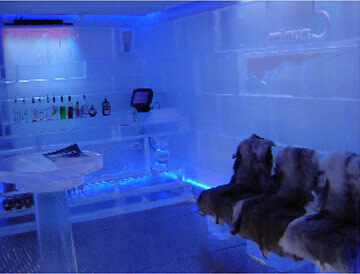 Furnish and install liquor store specialty beer cooler for The Four Firkins St. louis Park, MN. 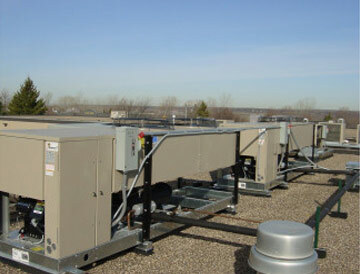 Install refrigeration systems for shopping area cooler / freezer at IOCP Food Bank Plymouth, MN. Demo and re-install outdoor combination cooler / freezer for Culvers in Savage, MN in only 48 hrs complete. Ideal successfully completes a refrigerated case distribution program to over 70 food pantry's in Minnesota and Wisconsin for Second Harvest Heartland. Remodel warm room box and reduce size for LifeCore Biomedical Chaska, MN. 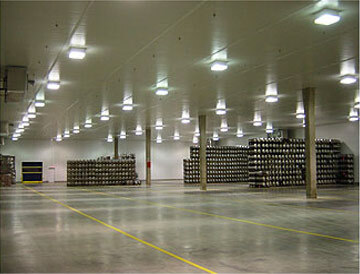 Design and install 20'x 30' freezer for frozen pet food at American Logistics Cottage Grove, MN. 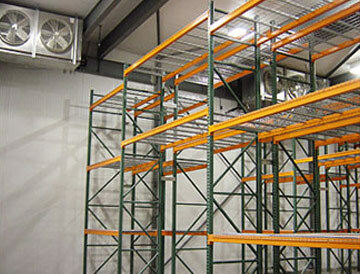 install basement storage freezer for Patisserie - 46 South Minneapolis. 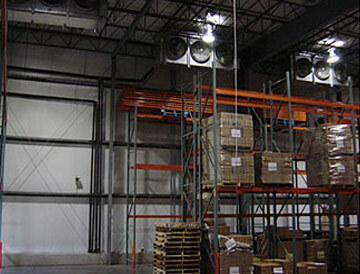 install 15hp medium temp refrigeration system for increased capacity and efficiency at Second Harvest Heartland. Relocate floral cooler for Bastian + Skoog Downtown Minneapolis. 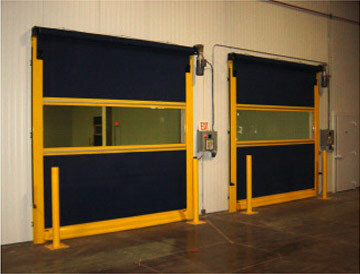 install new larger sliding door in existing cooler for LifeCore Biomedical Chaska, MN. Installation of specimen cooler for Health Partners Central Lab. 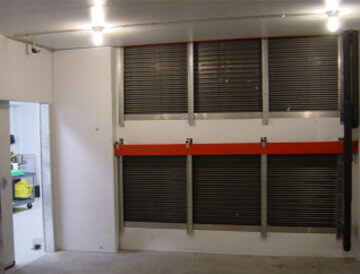 Installation for LifeCore Biomedical of Chaska, MN - large pallatized storage cooler with 100% redundent Mechanical. 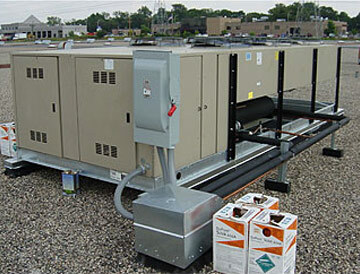 Completion of cooler installation for Papa Johns Pizza St. Paul, MN. Installation of a 5 door wine display for The Wine Theif St. Paul, MN. Ideal completes installation of combination cooler / freezer for Bruegger's Bagels Eden Prairie. Ideal Installs cooler / freezer combination for Patisserie -46 South Minneapolis. 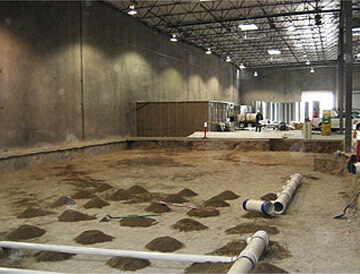 Ideal engineers and installs a storage freezer expansion and 60 horse power Blast freezing system for The Dough Shop. Ideal installs cooler for Five Guy's and Fabulous Fries.Ideal designs and builds outdoor will-call cooler / freezer for U.S. Foodservice. 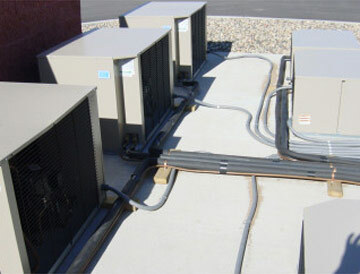 Ideal Refrigeration Equipment Company, Inc.